We are excited to introduce the GEN2 wireless ‘big field’ targeting system for large and small driving ranges. With our lithium powered SmartCore lights and sealed air targets, any driving range can enter into legitimate Target golf entertainment. 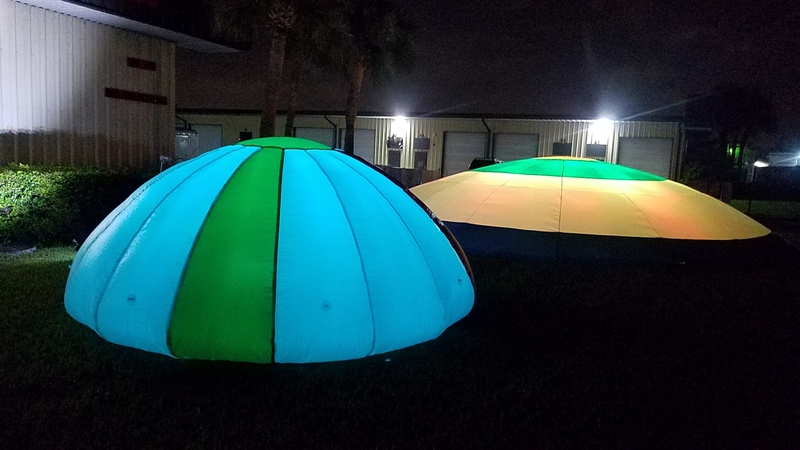 Glowgear will be offering both driving range target packages and our new light weight ‘night golf target’ kits designed to turn on new golfers with a one club target golf game anyone can have fun playing. With these flashing, interactive targets, you can put on everything from one club target golf to Friday night footgolf to even disc golf. All done in the evening when there is no danger of interfering with your traditional golf customers. It doesn’t matter if you are a private or public golf course, targets on the range or around the clubhouse take golf to a whole new level of fun. TARGETS are designed for skills competitions like “lights out’ as well as the new ‘Target Night Golf’ where players compete with just one club and the course can be made virtually anywhere around the clubhouse, range or golf course. Call Today to learn more about how to turn on the night with Glowgear Interactive targets.